The bus has been parked for a year and a half due to a brake caliper seizing. For much of that time, the keys have been at Neighbor Dan’s shop and he’s been waiting to fit it into his repair schedule. 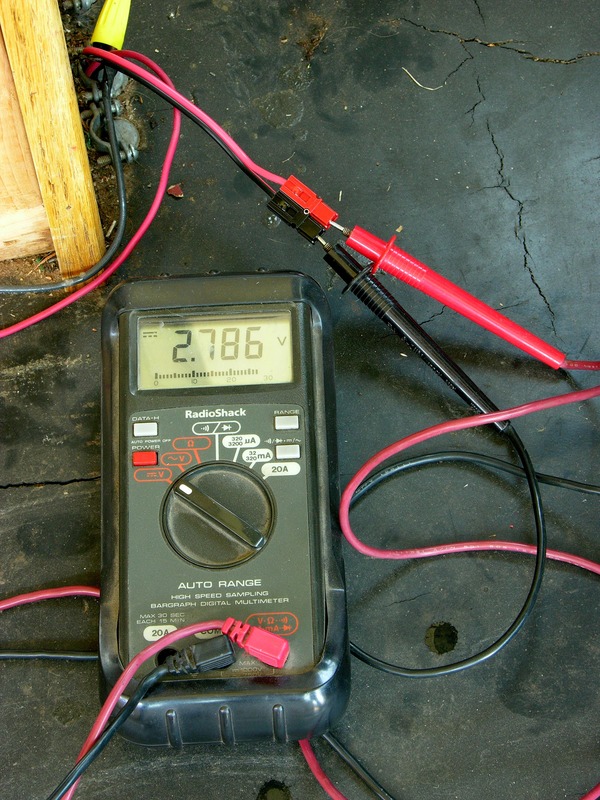 That’s a topic for another day; but for now, let’s talk battery charging. Car batteries left alone and unused tend to self-discharge, but the bus’s starting battery seems to discharge a little faster than I can account for just from disuse. 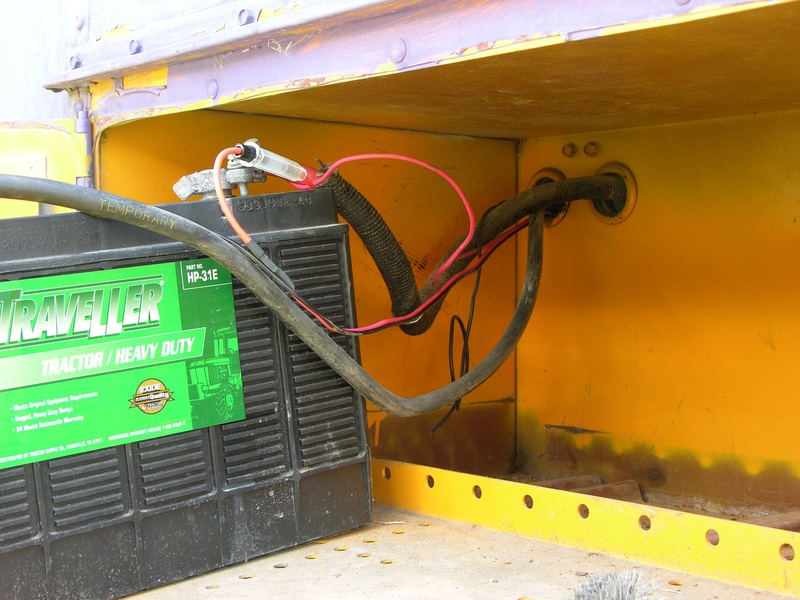 I’ve kept my van battery topped off with a $15 solar trickle charger from Harbor Freight, and I recently modified one to use in the bus. The bus’s battery compartment is below and behind the driver and is accessible through a door in the bus’s apron. In the long term, I’ll be routing much heavier DC wiring throughout the interior; but for charging, I ran a 4′ section of 18-gauge two-conductor cable out the back of the battery compartment and up through a hole the previous owner had made in the floor. I put a 1A fuse inline with the positive terminal connection, as the 120mA solar charger should never come near that much current and I would prefer the 18-gauge wire not become a fuse during a short-circuit. I can easily change the 1A fuse out for a larger one later. The cable emerges from the floor behind the driver’s seat, where I terminated it in Anderson Power Poles. The battery is deeply discharged — less than 3V. This battery may not resuscitate, but at least the charger will be there and ready for the next one. During the afternoon the dashboard was in shade, but the charger still read about 17V open-circuit. With it plugged in, I immediately measured over 5V at the battery. Although it obviously hasn’t charged the battery that much that fast, it’s a good sign. * The positive terminal cable clamp had been cracked and broke off from flexing on 06-Jul. Replaced 09-Jul. 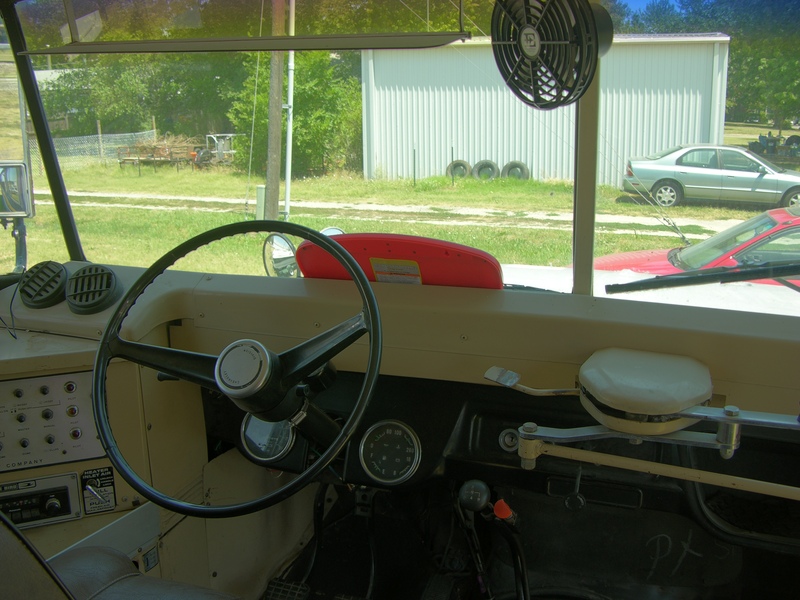 You are currently browsing the Keith’s Schoolbus Conversion Blog blog archives for July, 2011.